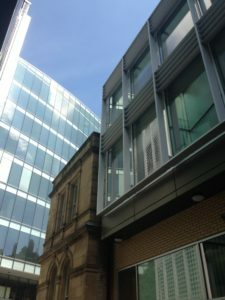 Between 2011 and 2014, Mark Whitfield was the project architect responsible for overseeing the restoration, construction and fit-out of The Courthouse on Deansgate in Manchester – also known as Oddfellows House. 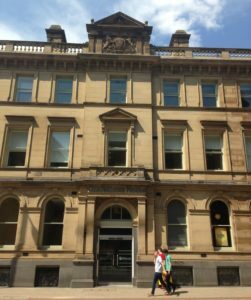 This grade II-listed former county courthouse, registry office and Inland Revenue office lies within the Deansgate and Peter Street conservation area of Manchester city centre. The Independent Order of Oddfellows Manchester Unity Friendly Society, founded in the city in 1810, had purchased the building and wished to restore and adapt it to create office and leisure space. A new extension was required to the rear, along with the infill of the former inmate courtyard to create a new space. 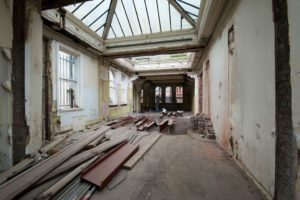 This included working within a very tight city centre site, adhering to conservation area requirements, sympathetically restoring historic features and ensuring a very high standard of construction. As project architect, Mark was responsible for the concept design, planning permission and listed building consent (secured in 2011), leading the design team, producing technical drawings and overseeing the construction phase (2013-2014). 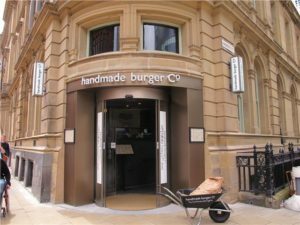 The building was reopened to popular acclaim (including an article in the Manchester Evening News) and is today occupied by the Oddfellows Society, steak restaurant Hawksmoor and casual dining venue The Handmade Burger Company. 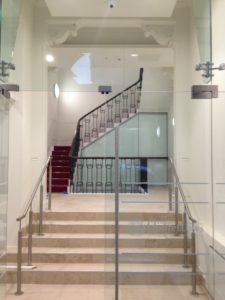 It also secured compliance with the Disability Discrimination Act, due to the creation of new level-access thresholds; and a BREEAM environmental rating of ‘Very Good’.